We spent a week in Sarasota, Florida to screen Becoming Fools, and document the work of our local response partner, Night Life – an innovative youth outreach center that offers hope to at-risk youth through mentoring relationships. 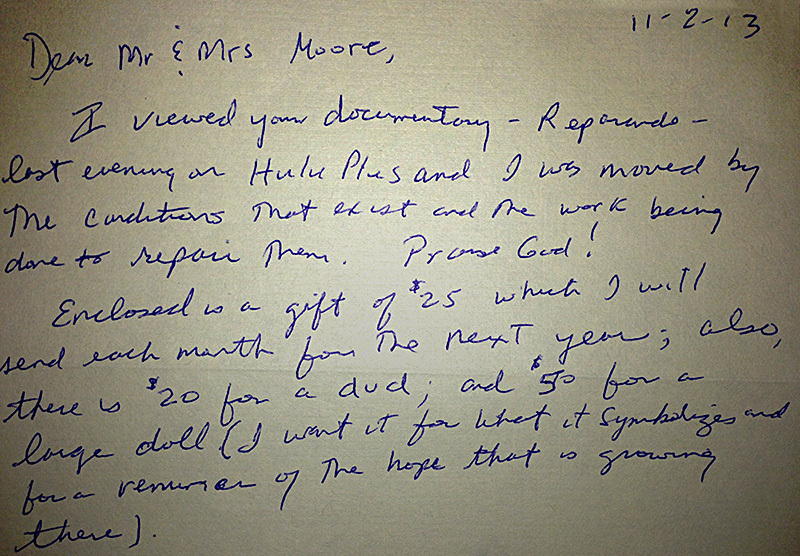 Many scenes in a documentary morph over the course of editing, and others end up on deleted on the “cutting room floor”. We captured 5 Terabytes of footage for Becoming Fools over the course of two years, so we had a lot of material to work with. 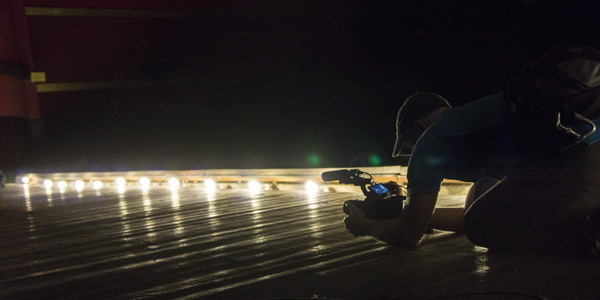 I wrestled with the footage for about ten months as I edited the story, focusing in on the journey of street youth as they prepared for a theatrical event on a professional stage. One scene that ended up being cut is the Panchorizo Event. 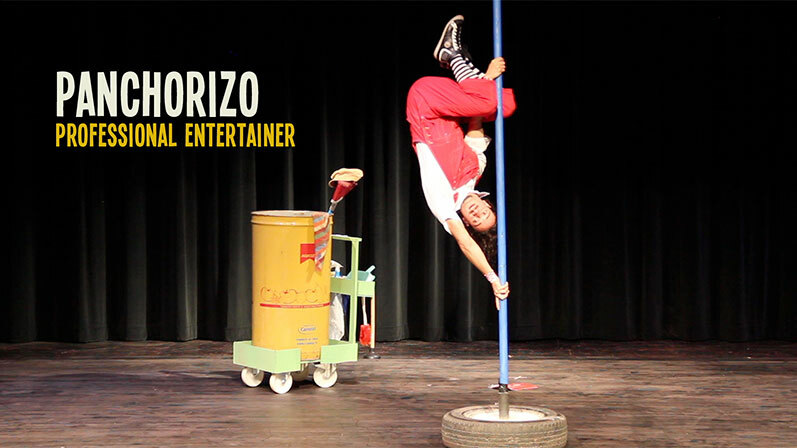 Panchorizo is an incredibly talented entertainer in Guatemala who performs as a comedian, acrobat, and musician for audiences of all ages. 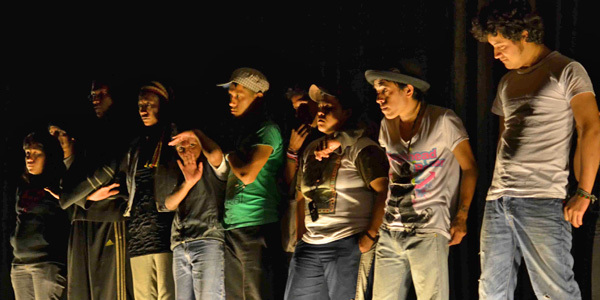 During Becoming Fools, we took a few of the street youth to his performance at the Guatemalan National Theatre to inspire them. Panchorizo began performing in the streets of Guatemala and is now a full time professional artist who performs to sold out shows. I loved the motivation of the scene: the youth caught a glimpse of what is possible when someone devotes themselves to something and works hard at it. But sometimes we need to cut things that we like. Panchorizo was originally supposed to be very involved with the Becoming Fools film, but he became very busy with his work and didn’t have the margin to join the cast. So, this was the only scene with Panchorizo. It is a fun scene with a lot of laughs, but in the editing process, we decided that it didn’t really push the story forward, so we cut it from the film. Thankfully we can still share it in this form. I’m not wearing a Lucha Libre mask, leaping high off the ropes to grapple a turkey (although that would be epic). I’m talking about being honest with myself about what I’m thankful for. God, Family, Food, Shelter, Health, Education, Friends, Travel … things that warm my heart and put a smile on my face. But what about the other stuff? What about the stuff that has angered me, saddened me, or hurt me? What about the things that have really been a struggle? Am I thankful for those things? What things fit into that category? Depending on my perspective (or lack of one) … anything can. I’ve been immersed in Becoming Fools for the last three years. It has been a stressful journey and I have found myself growing more and more exhausted … and less and less thankful for the opportunity to be involved with the project. I used to feel the same way about Reparando. But that changed over time, after we released the film. Like most humans, I forget too easily. During my Becoming Fools scouting trip in 2011, Tita asked me to personally attend a screening of Reparando. I was honored for the invite, but was exhausted from two weeks of 16 hour days interviewing people and capturing footage in Guatemala City. Part of me wanted to just go back to my room and go to sleep. I couldn’t understand why it made a difference if I was there. I thought, “I am just a silly Gringo. They won’t care. And besides … I’m in Guatemala for Becoming Fools, not Reparando.” But Tita was persistent. She said she really wanted me to come. So, we drove straight from our production across the city to a church near La Limonada. Tita met us outside the church with hugs and we watched the film from the back of the room. After the film ended, Tita called Shorty and I to come up in front. She hugged me, and while everyone was clapping, they presented a gift from the people of La Limonada: A T-shirt covered with signatures of people who live in La Limonada … People who were very thankful we made the film. I could not have been more wrong about … everything. Reparando brought me closer to many things in the list I made above – God, family, friends, education, and travel. On a personal level, it helped me understand my sons’ stories in a way that I could never grasp otherwise. 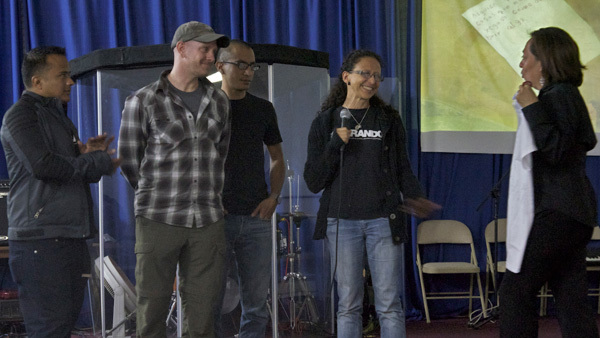 On a broader level, Reparando has inspired countless resources given to mission that have blessed people with much more struggle than I could ever image – people who are very thankful. I believe that Becoming Fools will do the same eventually. So why am I wrestling with thanksgiving over Becoming Fools? I’m human. I forget. That’s why we’re called to be transformed by the renewing of our mind (continually refocusing our perspective on truth). We forget. That’s one of the reasons we celebrate Thanksgiving: to remember. I am personally challenged to remember things that might not seem to easily fit into a warm and fuzzy Thanksgiving box. Because most of the time, I’m just trying to put these things in the box from the wrong angle. Everything fits in the Thanksgiving box with the right angle. It’s not easy, but hopefully if I continue to wrestle, Thanksgiving will eventually win with a knockout. What Thanksgiving do you wrestle with? Homeless youth aren’t always orphans. 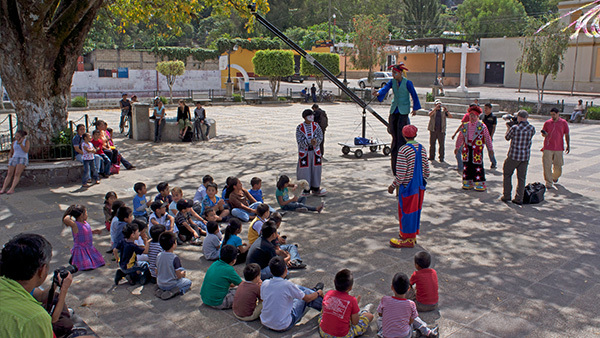 Becoming Fools documents the intriguing story of homeless youth in Guatemala learning to heal through the art of clowning. During production, we developed friendships with youth who began living on the streets when they were 7 years old – and we learned a lot about the issue. One of the most profound revelations is that a great number of these youth living in the streets actually have family that they could return to. But these youth choose to remain in the streets. Some children lose their families. 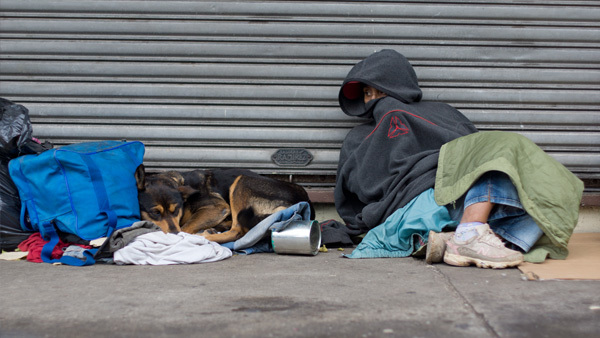 But many other youth CHOOSE to live in the streets – sleep in the rain, eat scraps from a dumpster, disengage from society, constantly “exist” in the threat of harm, and fall into the trap of drug addiction or prostitution … etc … rather than return home to a roof and company of a family? Why? Often, it’s because violent city streets are actually more peaceful than the homes they left behind. It’s difficult to wrap my mind around that fact. But, I grew up in a healthy family. Many of these youth were born into extreme conditions that will continue to incubate drug addiction, child labor, violence, and abuse … unless something changes the paradigm and endless cycle. Becoming Fools features stories from youth who fled to the streets for different reasons – but in a way, are exactly the same. Mefi lost both of his parents when he was 7 years old and moved in with a family member who abused him. Sandy was sent to the streets at an early age to sell candy to help provide income for her family. She was beaten when she didn’t return home with her quota. Raul lost his mother at an early age and lived with his alcoholic father who repeatedly abused him. They all have family … but their family members are abusive. They are guaranteed to be abused at home. At least there is a small chance of peace in the streets. It’s an extreme issue in Guatemala that doesn’t have an easy solution. For many reasons, there isn’t yet a strong culture of adoption and foster care in Guatemala, but that wouldn’t matter anyway. These children aren’t orphans. There isn’t a strong social services program with funding and resources to intervene. Unfortunately, Guatemala is riddled with violence and many people confuse homeless youth with violent delinquents (gang members, drug traffickers, organized crime) and ignore opportunities to make a difference. As result, these youth slip under the radar as they wander the streets trying to survive. But all is not lost. There are organizations responding to the issue, developing relationships with these youth and working with them day to day, in the hopes that their lives will be healed and transformed. During Becoming Fools production, we saw first hand how these “fools” pour their passion into the uphill battle of rescuing and rehabilitating homeless youth. 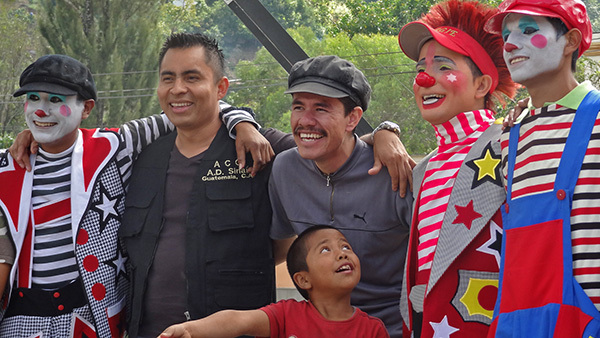 On one occasion, a couple organizations partnered together so street youth from Guatemala City could share their clown performance with orphans outside of Antigua. Part of this event ended up in the final cut of the film and the symbolic significance of the event still echoes in my mind: homeless youth clowning for orphans, organizations partnering together, and joy conquering tragedy. Help us conquer tragedy with joy by giving a tax deductible donation to the Becoming Fools Screening Tour. Encouragement is a blessing. In this age of Twitter and Facebook, a handwritten letter is a treasure chest full of gold that fills the emotional bank of our hearts. Three years is a long time, especially in an age when we get instant feedback. We can drive up to a window and get food in seconds. We can instantly watch any one of thousands of movies or tv shows, and if we don’t like that one, we can change our minds and instantly watch another. It’s easy to forget why we do what we do when we are focused on tasks to finish something – especially when we’re insulated and isolated from the reason we are doing it in the first place. We produced Becoming Fools to share it with an audience – not so that the audience will tell us we did a good job, but so that the audience would be inspired to do something to make a difference in the lives of at-risk youth. Help us leverage Becoming Fools by giving a tax-deductible donation. 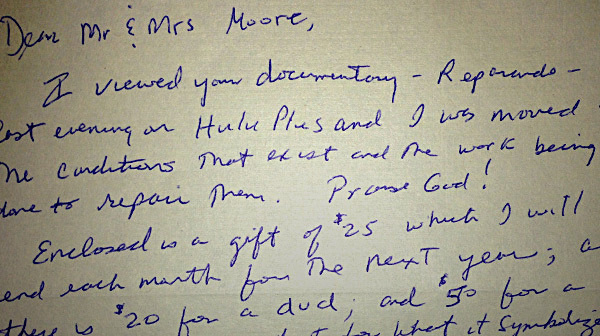 This handwritten letter of encouragement is a treasure chest full of gold. Athentikos will leverage Becoming Fools with AMG International in a US Screening tour to make a difference in the lives of homeless and at-risk youth. Athentikos will present Becoming Fools in a US screening tour beginning in spring 2014 to engage audiences in the issue of homeless and at-risk youth, and present opportunities to respond. Our global response partner for the US screening tour is AMG International, a Christian missionary agency that holistically serves in over 30 countries around the world. Becoming Fools audiences will be given opportunities to respond through the AMG Bridge to Life initiative, which protects at-risk youth from 3 years old to young adulthood. The Becoming Fools story takes place in Guatemala, but the issues of at-risk youth and homelessness exist everywhere. In addition to AMG, Athentikos will present unique opportunities to respond to the issues of at-risk youth and homelessness through a local organization in each city, including homeless shelters, counseling services, food banks, vocational training centers, and organizational cooperatives. Becoming Fools is a documentary inspired by the legacy of a man who lived as a fool and died as a friend. Italo Castro was a professional clown who became a father figure to countless street youth in Guatemala City. After his tragic death, professional entertainers rally around street youth to honor their fallen hero in a theatrical production on a distinguished stage. The odds are stacked against this dysfunctional troupe, but they’re determined. Perhaps they’re fools for believing it can be done. Or perhaps … Becoming Fools is exactly what they needed … because the journey of a fool leads to the heart of a child. The film was inspired by the passion, commitment and legacy of one man – Italo Castro. Imagine what is possible with a group of fools working together! Coincidentally, June 16, 2013 was Father’s Day and a Becoming Fools related anniversary. “When I was a kid, it felt great when my parents came to watch me in a sport or play. Think back … Chances are, someone was there for you too, rooting you on with a smile. Someone was your number one fan, encouraging you to never give up. But what if things were different? I am grateful for my dad. I’m also very thankful to be a father to my own sons, who happen to be from Guatemala. When I tuck them into bed at night, I can’t forget that there are a lot of kids in Guatemala (and around the world) who don’t sleep in a bed and didn’t celebrate Father’s Day with their dads. That’s why we produced Becoming Fools to help make a difference. Here’s a bonus feature, a scene from the Voz de las Calles Show. Prodigal Clown – Scene – 03 from Athentikos on Vimeo. We need your help to share the story. Will you join us in Becoming Fools and give a tax-deductible donation to help us release the film? A year ago today, we were in Guatemala documenting the implosion of Becoming Fools. 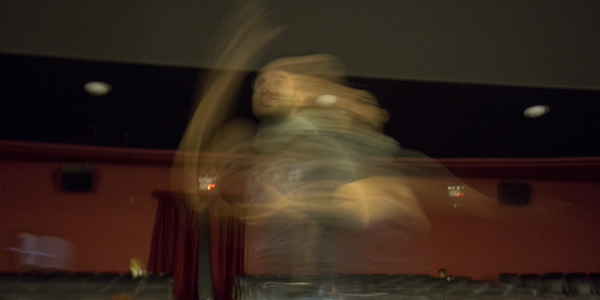 We were three days away from a big theatrical event called “Voz de las Calles”, which was the culmination of five months of rehearsals with street youth and professional entertainers. The road had not been entirely smooth. In fact, there were some major hurdles along the way. But, with the help of gracious volunteers, it looked like they were going to pull it off. One of the street youth with a leading role in the play had been in drug rehabilitation for a year. Three days before the show, he left his rehab and went back to the streets to consume drugs. My heart was broken. This guy wasn’t a “street youth” to me – he was a friend. I was rooting for him and his peers as they wrestled towards their goal of performing on a Guatemalan Broadway Stage. 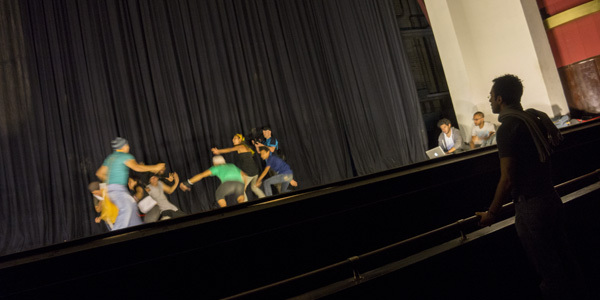 The cast rehearses a symbolic scene where the hero is attacked by shadows. This is probably how Roberto, the theatrical director felt, as he tried to pull the show together in three days. Scott Moore documents the implosion of Becoming Fools, on his knees. A tired cast receives notes after rehearsal. The night ended with conflict as one of the cast members quit the show. We didn’t know what would happen a year ago, but we all walked forward in faith .. Becoming Fools. We captured a beautiful story that walks a tightrope between tragedy and comedy. We feel much like we did a year ago. It seems impossible. We never raised the money needed to finish the film. But we believed in the project, so we subsidized it with our blood, sweat, tears, and personal savings. The good news is that the film is finished. The bad news is that so is our funding. Tamagochy is a Guatemalan icon, made famous for his performances in the streets of historic Antigua, Guatemala. 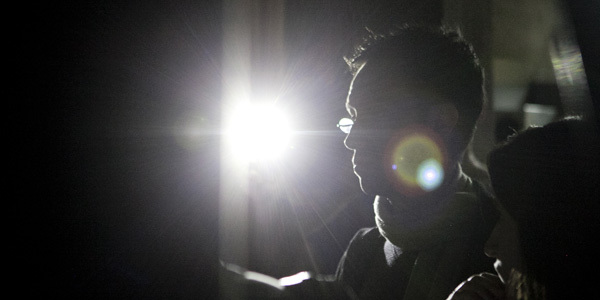 We saw him performing during our scouting trip in 2011 and were totally blown away by his creative talent. We first noticed the crowd surrounding him and wondered why everyone was gathered. We approached the crowd to explore and quickly realized they were watching a master at work. Before we knew it the crowd unglued us as more people joined behind us. Being a filmmaker, I pulled out my camera to capture his antics. Of course, Tamagochy dialed right in and pulled me into his show to be part of the act. I remember thinking, “It would be so great if someone like this was a part of Becoming Fools.” But at the time, we didn’t know much about the film. I didn’t want to prematurely invite him into something that wouldn’t pan out. So I decided to keep quiet. It was hard for me to walk away and not say anything because I could see Tamagochy’s potential. I regretted that decision for the rest of the scouting trip. He heard about the Becoming Fools project and wanted to help. I just sat there for a moment in awe of what happened. I hadn’t said a thing. I had no idea how to contact him. But that didn’t matter. Tamagochy contacted us! Tamagochy is an absolute star when it comes to talent. But he didn’t come in with arrogance as a professional. He joined the team as a humble servant, volunteering his time because he understood the issues these youth were facing. He proved to be an incredible treasure for both the street youth and the Becoming Fools story. 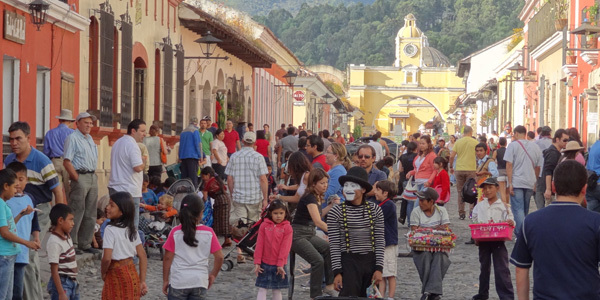 If you are ever in Antigua, Guatemala, make sure you take some time to enjoy his street performance … and when he passes the hat, tip him well, knowing that you are helping an incredible artist continue to help make the world a better place. 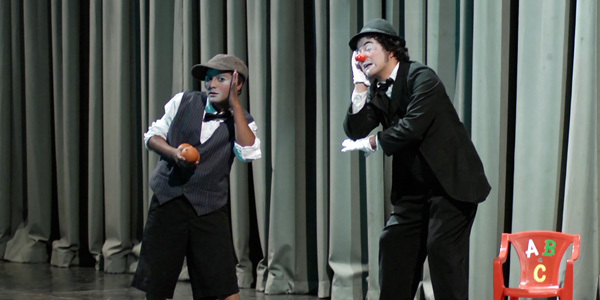 Here’s a scene from the Becoming Fools Theatrical event with Tamagochy and Toñito – both are featured in the documentary, Becoming Fools. Prodigal Clown – Scene – 02 from Athentikos on Vimeo. © 2019 - Scott Owen Moore. All rights reserved.